Swiss engineering group ABB last year commissioned a 262 km interconnector to link Ireland’s grid to the UK’s. National Grid is also working on interconnector projects with Belgium, Denmark, Norway and Iceland. About 5-7 GW of additional capacity could flow from the new interconnectors over the next decade or so, said Mr Bonfield. However, some of the interconnector projects are more feasible than others. 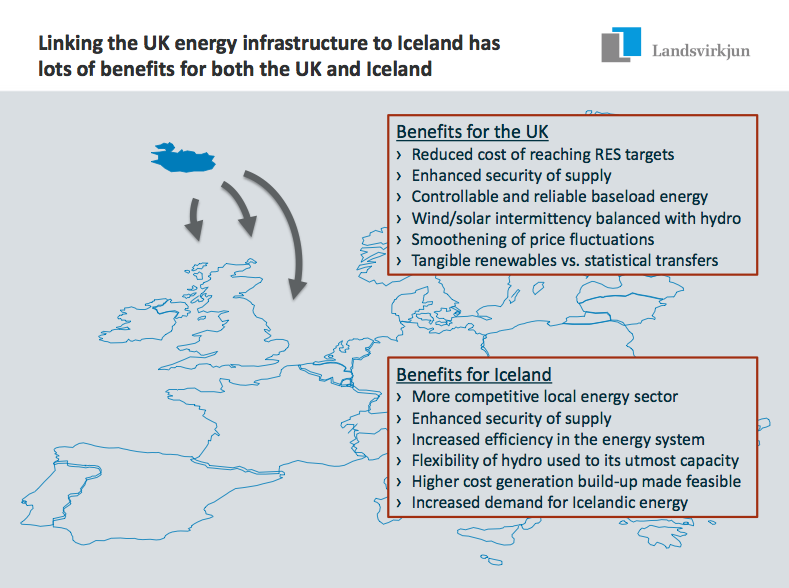 A link between UK and Iceland may be the best economic option. National Grid will invest about GBP 3.5 billion this year, most of which will go towards reinforcing its UK transmission infrastructure. Power imports should help National Grid level out peaks and troughs from renewable energy production and deal with the UK’s diminishing electricity margin, which represents the safety cushion of spare power generating capacity (National Grid previously said that the electricity margin during peak demand in cold weather will be 5 per cent, down from more than 15 per cent in the winter of 2011-12). IceLink could become an important part of this strategy, opening access to Iceland’s 100% renewable power geothermal- and hydro power generation. 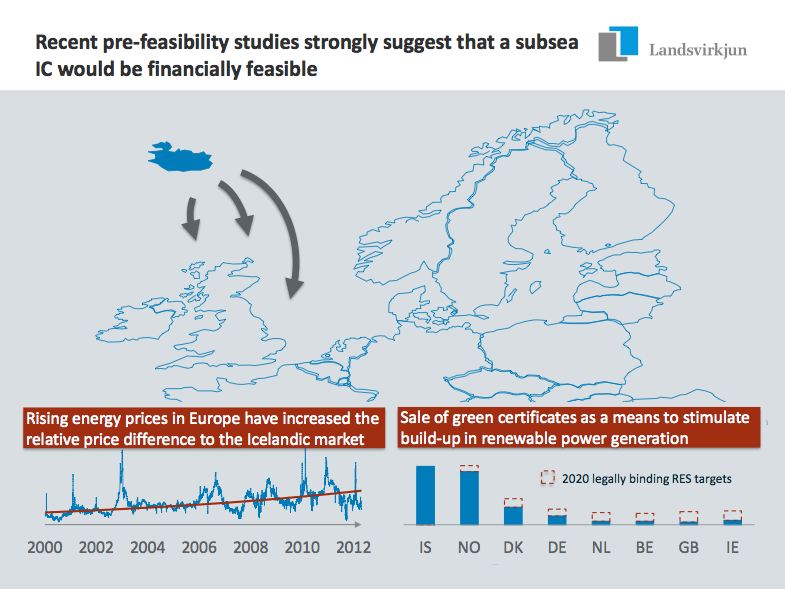 The two illustrations above are from a presentation by Mr. Hörður Arnarson, CEO of the Icelandic Power Company Landsvirkjun, presented in August 2012.